First Lady Michelle Obama has announced that her daughter Malia will start driving this summer. Michelle Obama commented on Malia’s milestone in a taped interview broadcast Tuesday by the entertainment news show Access Hollywood. It was a joint interview with actress Sarah Jessica Parker about the role of arts in education, but host Billy Bush could not resist asking Michelle Obama about her daughters, Malia, 15, and Sasha, 12. Michelle Obama said Sasha loves dancing and does so several times a week in an organized program. The first lady said her girls are like other teens in that they are anxiously counting down to the start of summer and getting ready for camp and internships. Asked whether Secret Service agents would be in the back seat when Malia is behind the wheel, Michelle Obama said only that “we’ve got a plan”. 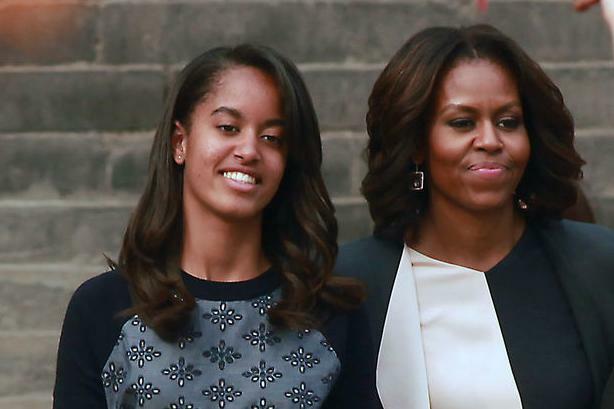 Malia Obama turns 16 on July 4, making her eligible for a learner’s permit in the District of Columbia. Michelle Obama dodged questions about whether there is dating at the White House. “You just want me to get pushed off the Truman Balcony,” Michelle Obama joked, suggesting that could be her punishment for revealing anything about her daughters’ dating lives.